Yes, and it's a big problem for me. I always do something, not only when I plan to sit and knit/sew/ect, but also while watching tv, travelling, I keep my hands busy all the time. And when I have nothing in my hands at the moment, I keep thinking about current and future projects, make new plans, imagine solutions to project problems. I am not able to switch off completely, even for one day. Even for one hour. Doing nothing seems to me like a terrible waste of time. And because I started so many things and put them away, they haunt me now as UFOs, so I think about finishing them all the time (some of them get finished luckily! ^^). But I feel I need a rest. For my mind's safety. I need one day away from doing things and thinking about doing things. How could this be arranged? I have no idea... Because I always say: "Yes, I must take a break, but not yet, not today, because there is still this and that to be done...". 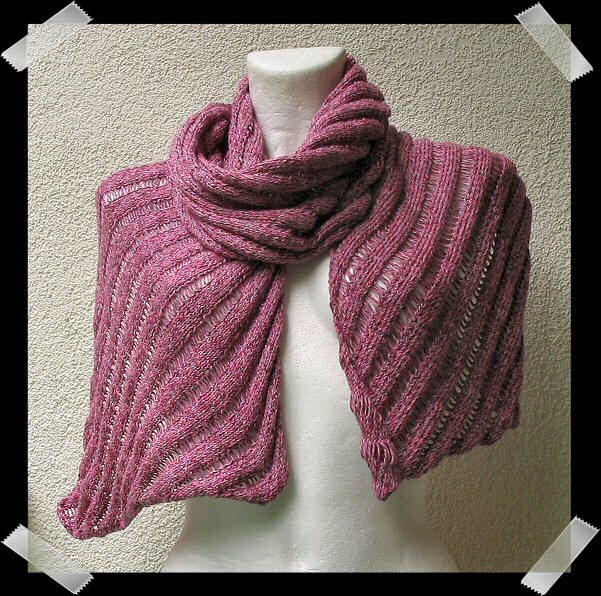 Currently I also feel uneasy because there is only Ella shawl on my needles (I'm not counting Checkered Scarf because it's a next-winter project). I feel I want something else to switch between knitting projects. Maybe I'll finally try the mysterious yarn I bought with the vision of stripey socks? Do you know any good toe-up sock patterns? 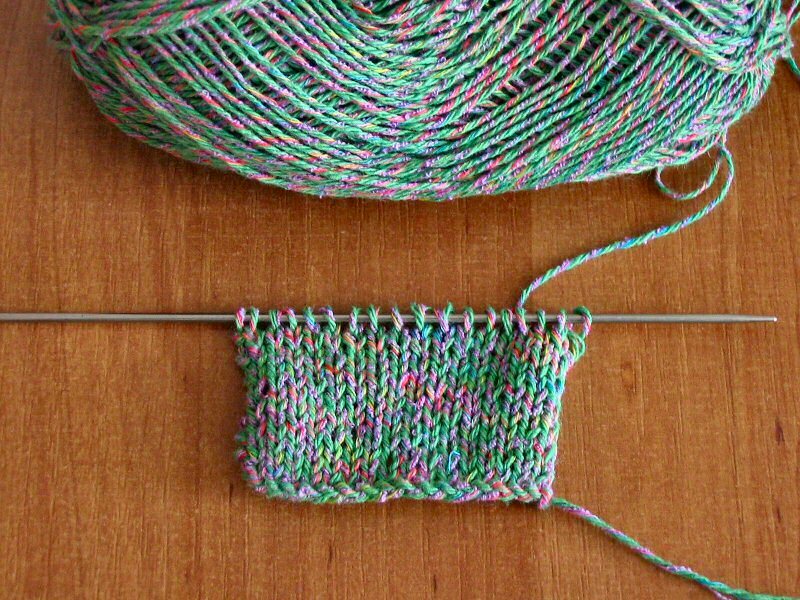 I have three skeins of the yarn and want to use them fully, so I want to start from the toes and go up as high as 1,5 skeins for one sock. 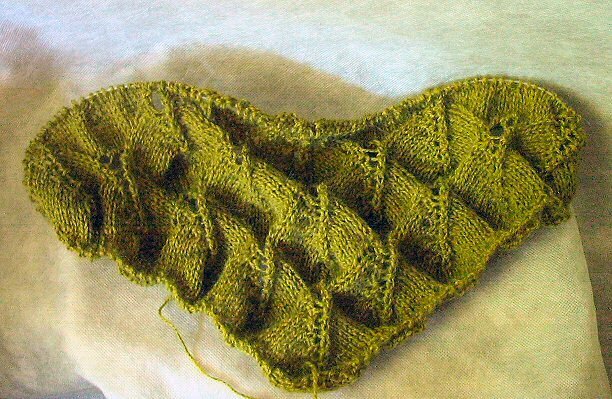 Ella is growing, I still have 20 rows of section II to knit and then I'll start the first wing part. I've never made a single quilt in my whole life and when I look at all the beautiful quilted bags (yes, I said "bags", what did you expect I would make?... *^-^*) all around the blogs, I feel tempted to try. Already have some ideas on my mind (that's what I told you earlier in this post - I can't stop thinking about different projects even if I'm not making them yet...). And, one more thing, felting inspired me much, and I'm preparing a new project that combines cord-making, felting and jewelery making in one.